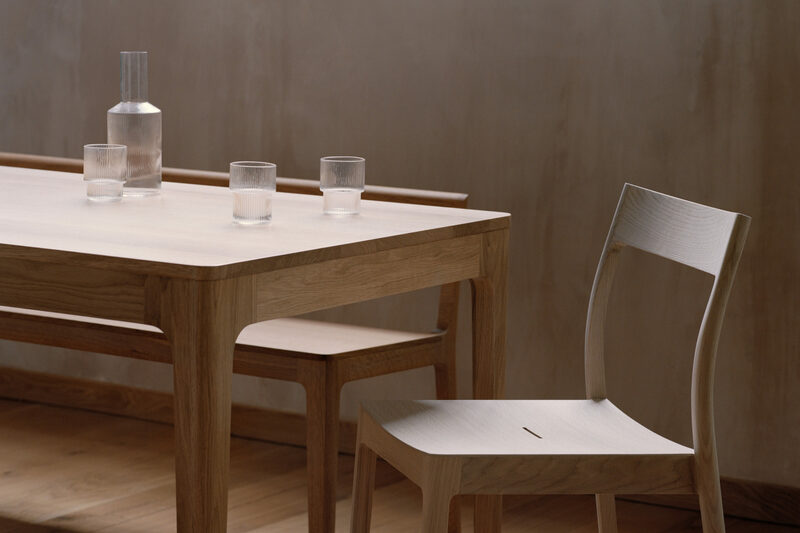 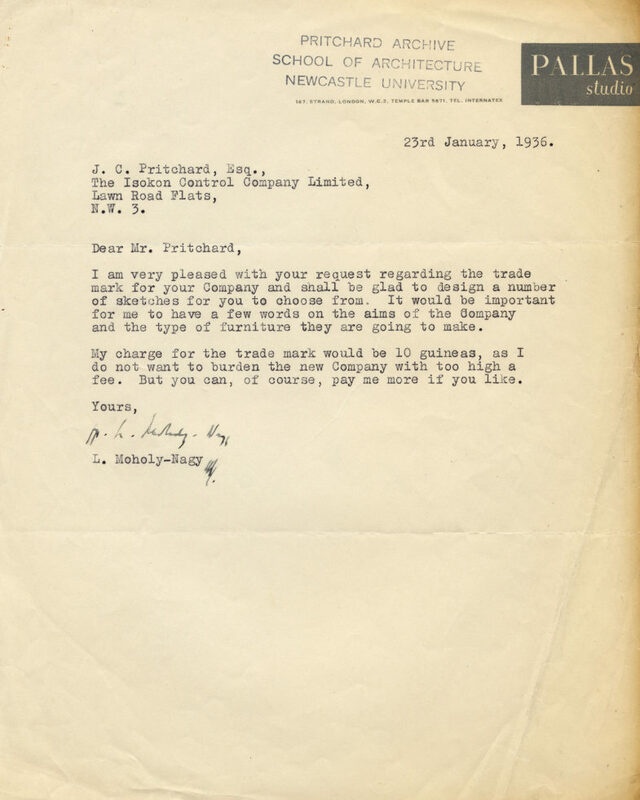 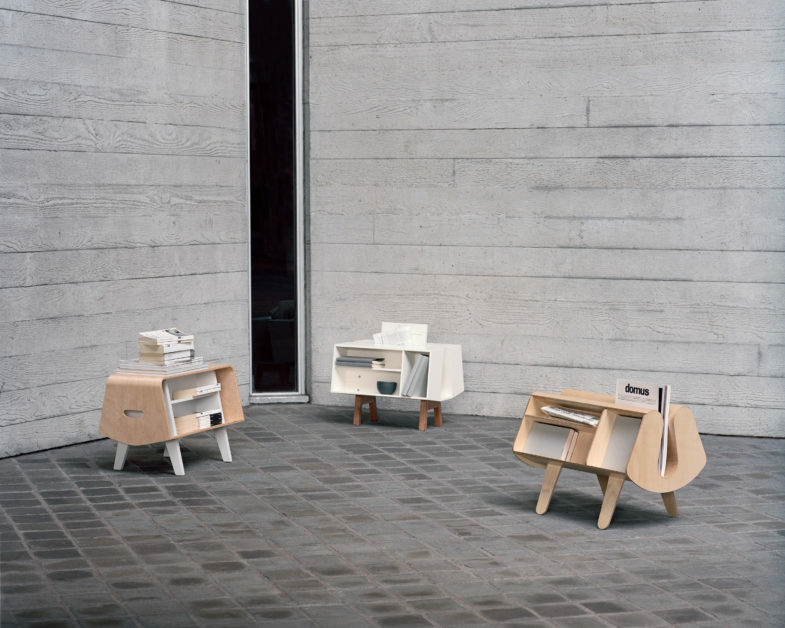 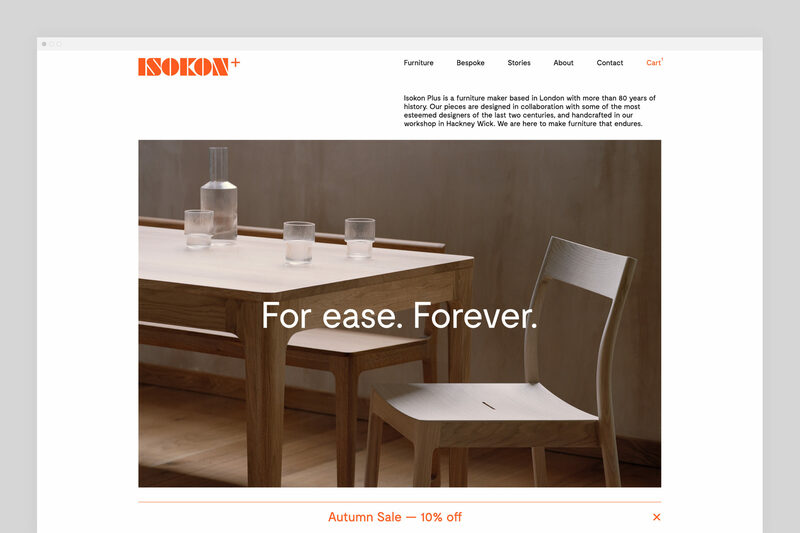 The Isokon Furniture Company was founded in the 1930s by Jack Pritchard, a British entrepreneur and visionary who believed in the power of design to transform society. 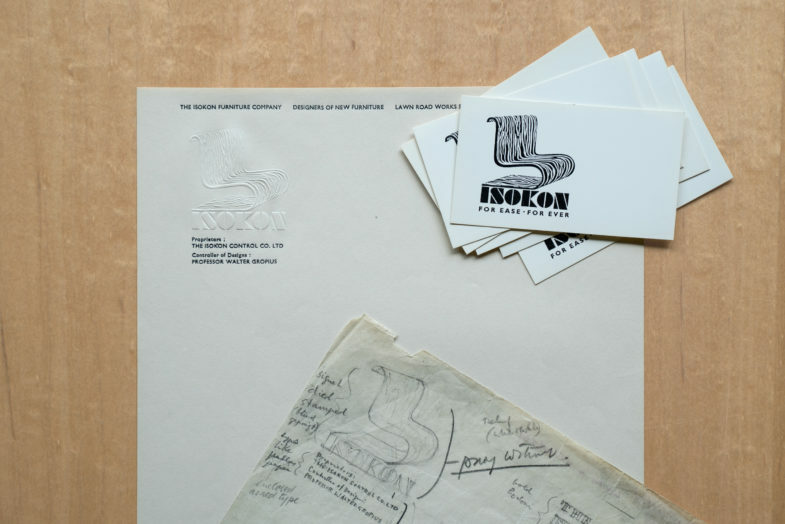 Nearly 90 years later, we collaborated with his successors to evolve this heritage brand for the future. 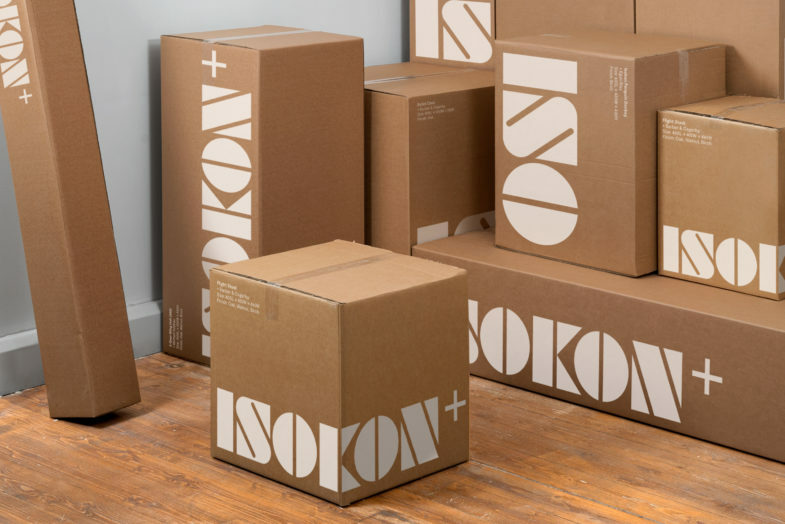 The original graphic identity was designed by Bauhaus professor László Moholy-Nagy. 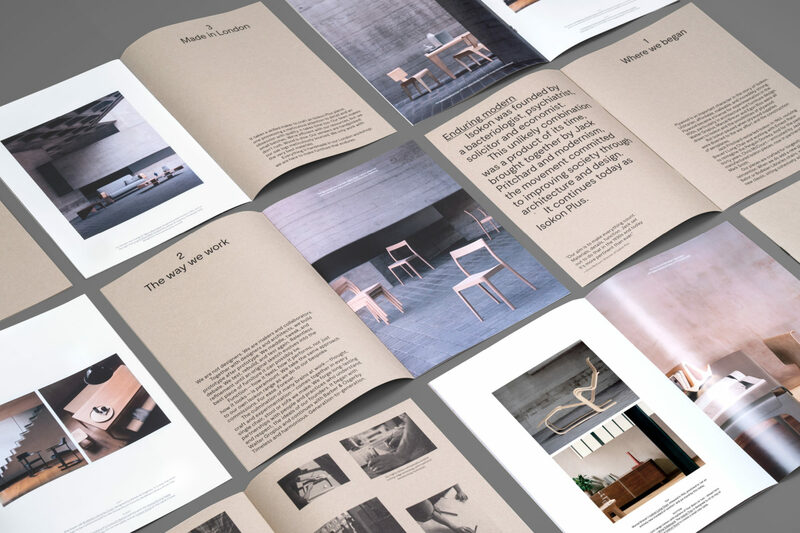 Informed by a visit to the company’s extensive archives, refining the word marque was an exercise of sensibility and restraint. 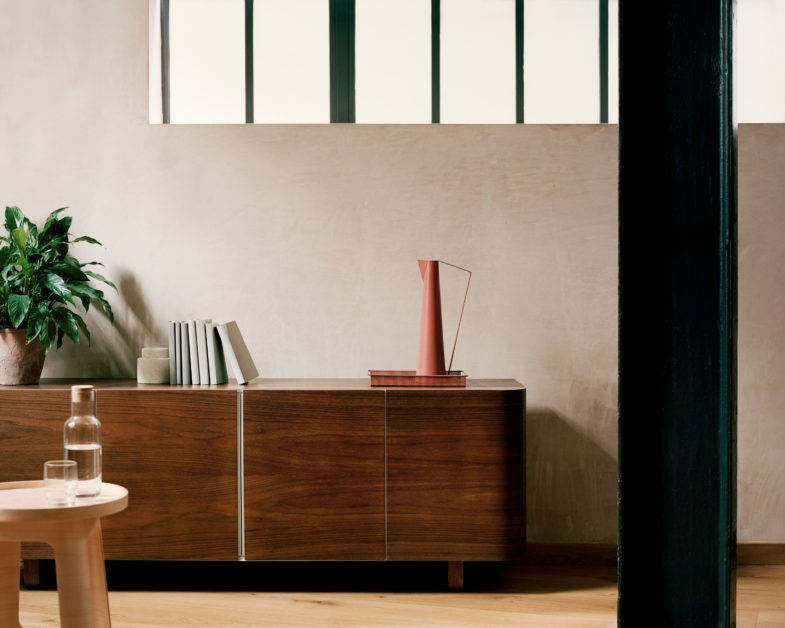 The introduction of the ‘plus’ symbol is a nod to collaboration with designers like Marcel Breuer and Barber & Osgerby, a hallmark of the brand since the very start. 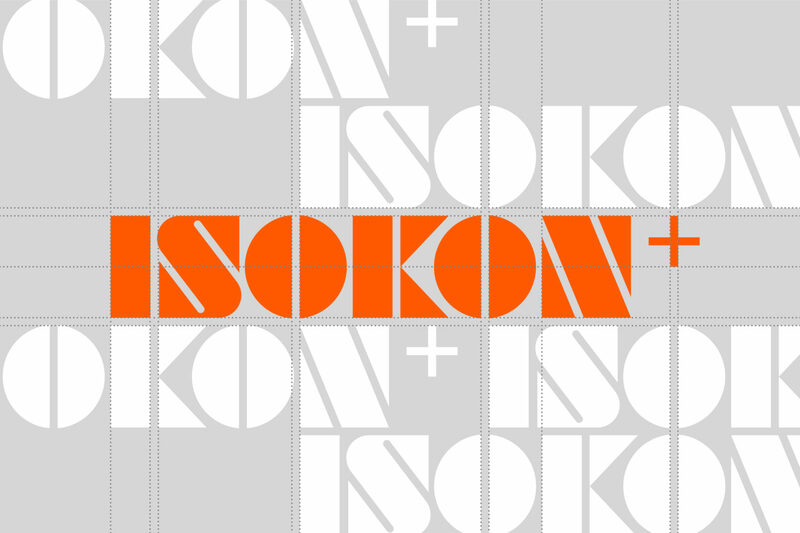 Isokon Plus should be a household name. 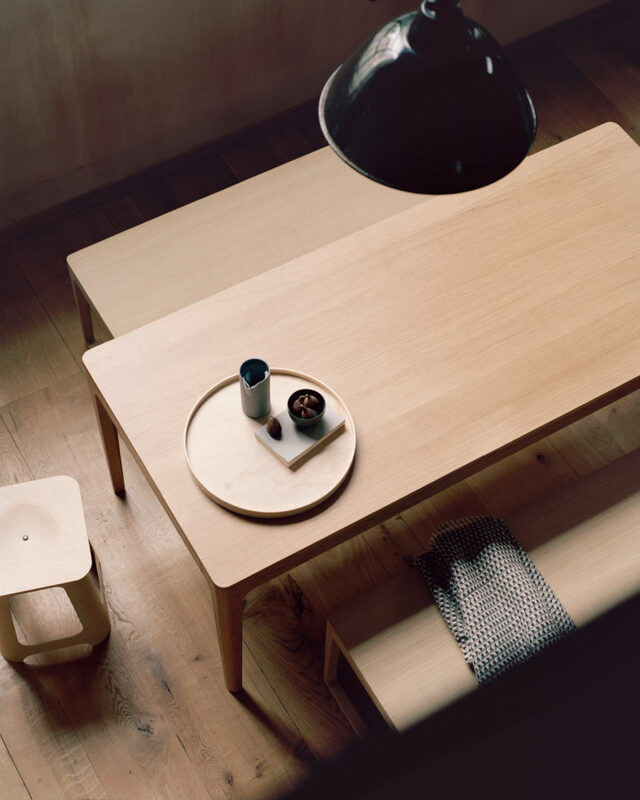 The company has been producing beautiful, highly crafted furniture for decades, but their brand hasn’t received the attention it deserves. 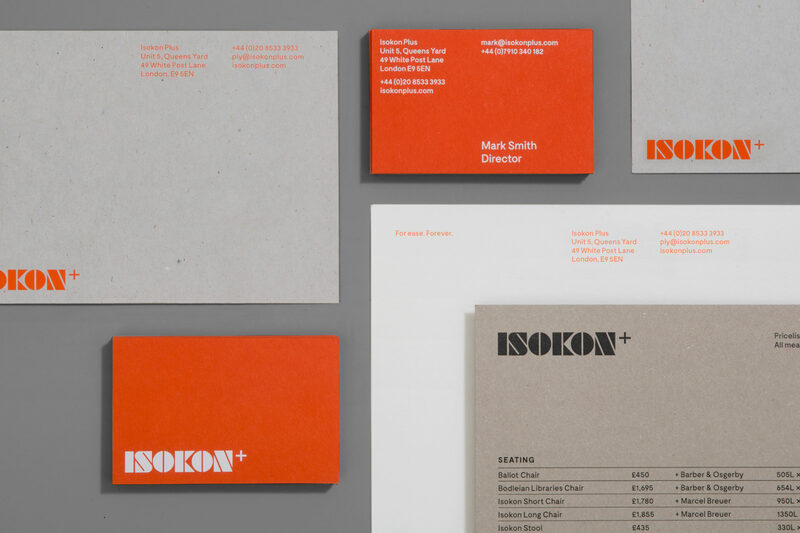 The collateral therefore treats the brand with confidence. 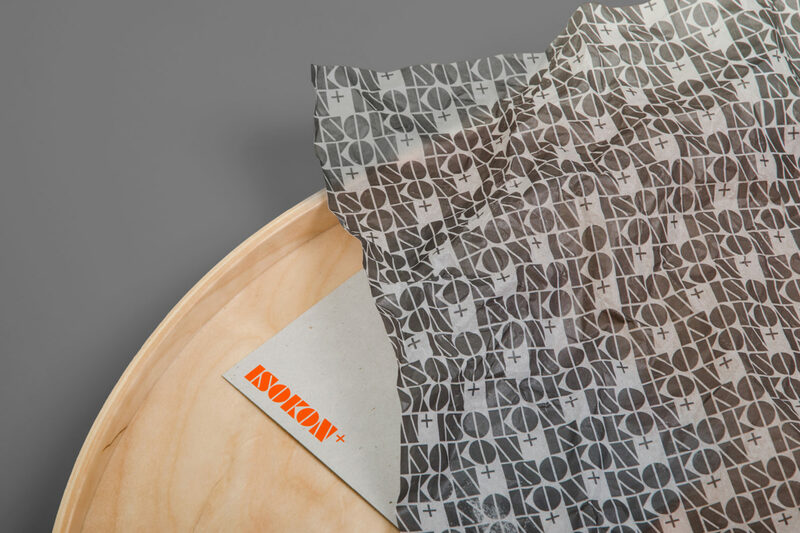 It balances the iconic orange with a renewed sense of materiality. 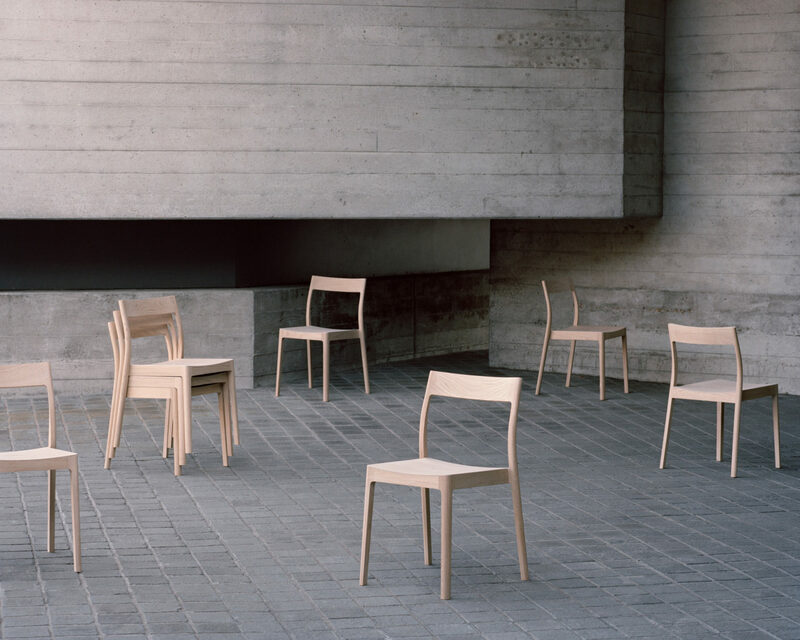 To reflect the new aspiration for the brand we collaborated with international architectural photographer Rory Gardiner. 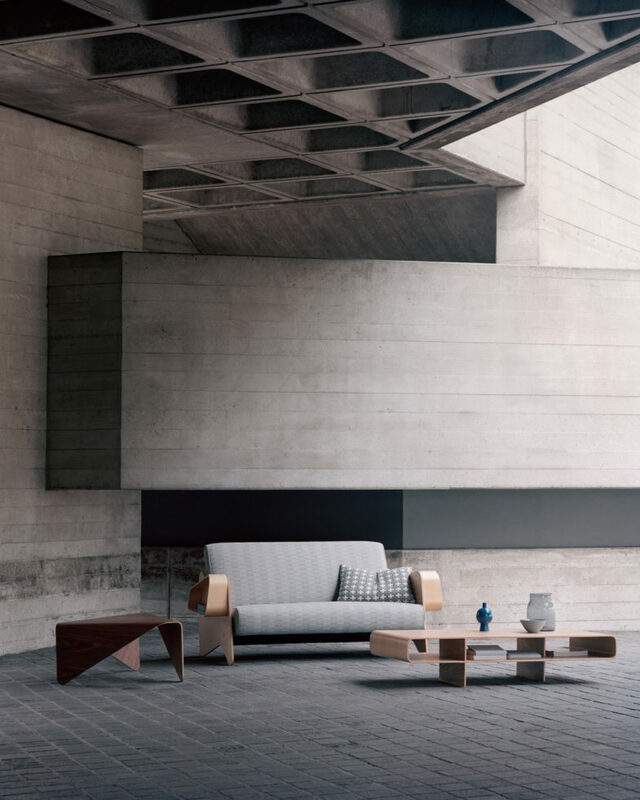 We chose two locations to show two different attitudes: an east London warehouse showcases living with Isokon, while the shuttered concrete backdrop of the National Theatre celebrates the plywood and timber materials. 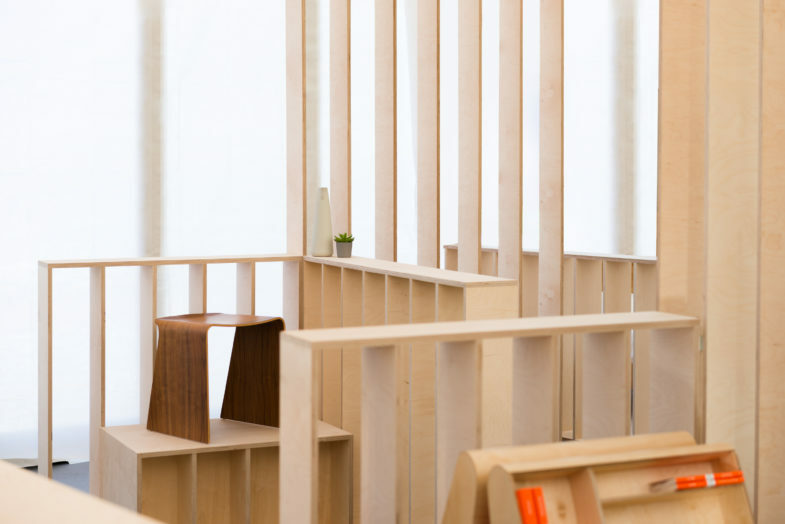 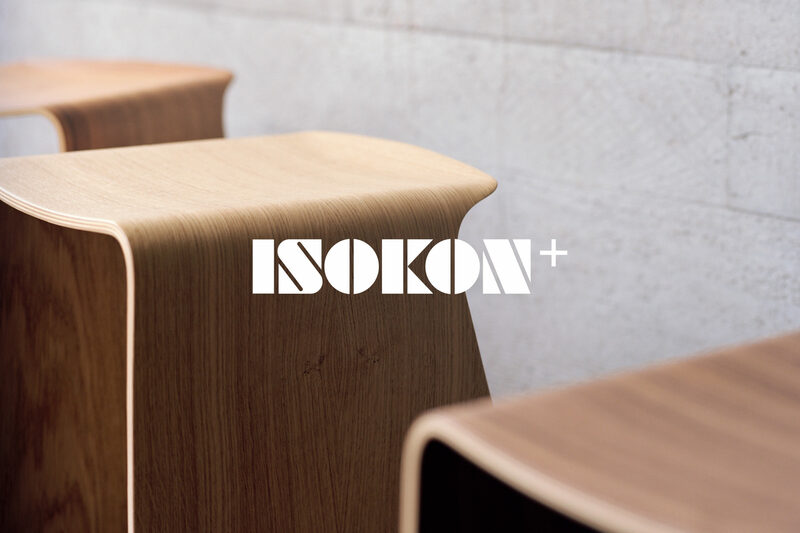 Isokon Plus does not have a physical showroom, so the ambition for the website was to create a home for the brand in the digital space. 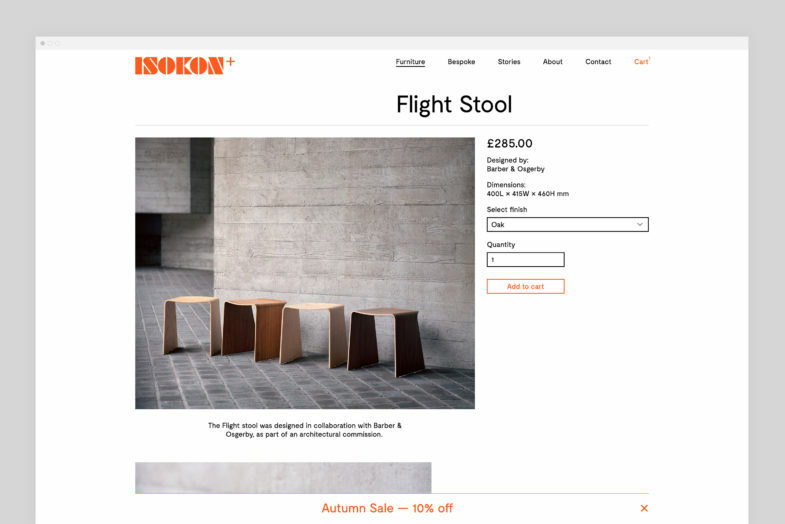 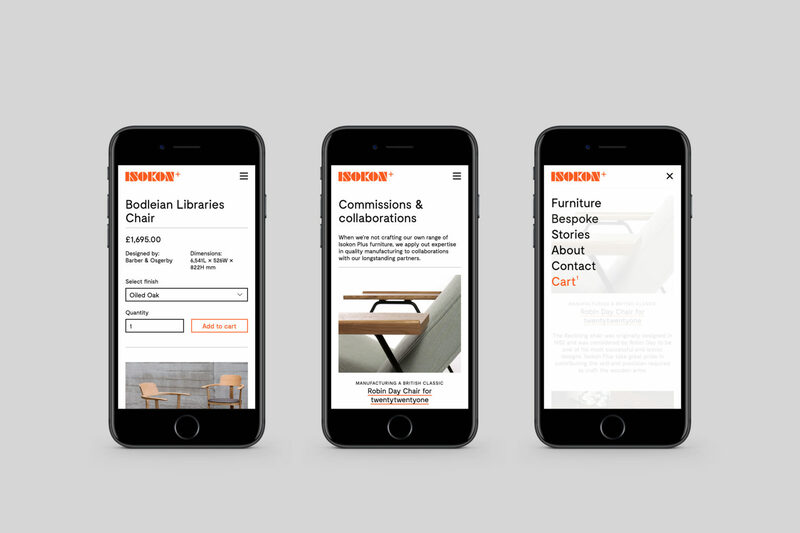 The multi-platform e-commerce website provides new forums for telling the story of Isokon Plus and its collaborators, while offering its customers a seamless shopping experience.